In the Name of the Moon... Accessorize! 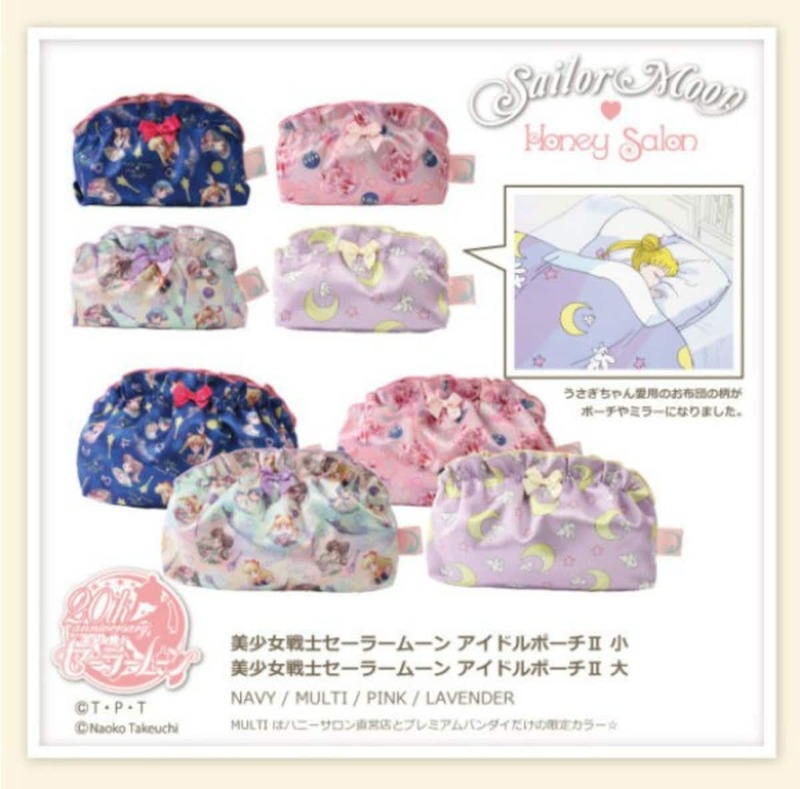 Sailor Moon and fashion shop Honey Salon are collaborating to release a string of new products in time for the holidays to be sold at Honey Salon locations in Japan. November alone will see the release of over five new fashion accessories, and we've got some sneak peeks at the up-and-coming accessories for December. Ranging from pink to navy to lavender and multicolored, these pouches come in small and large sizes and feature Sailor Moon-inspired prints with characters and a moon motif. The small size goes for ¥2,200 and the large for ¥2,900. With the same colors and motifs as the pouch, this mirror goes for ¥2,200. 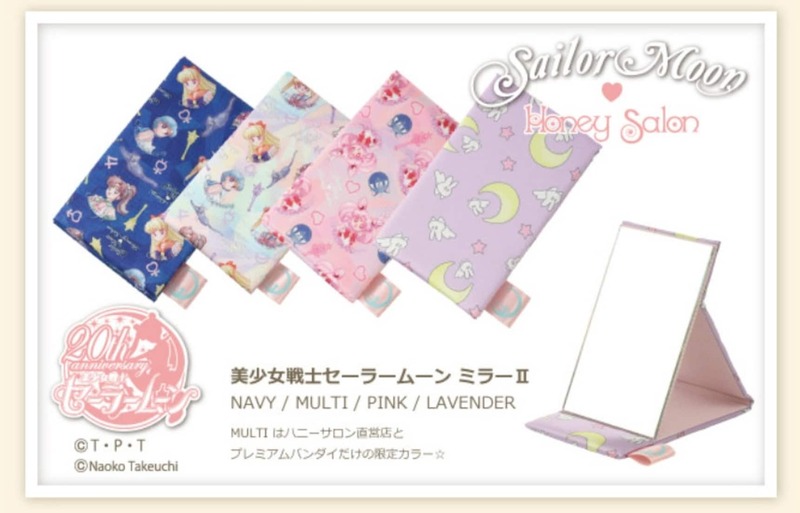 These adorable Salior Moon tissue cases cost ¥2,500. These stylish totes go for ¥9,500 a piece, but as each bag comes with one of five different colored straps representing the five main Sailor Guardians and printed golden Sailor Scout symbols, you know you're getting a good deal for the design. These stylized rings have their metal crafted into a script writing of the main five Guardians and feature a special studded gem in color coordinating with its corresponding Guardian. With nine different sizes, these rings go for ¥4,000 each. December will see the release of the Planetary Watch and Planetary Ring. The watch features a gold finish and special star shaped accessories, with the strap made up of jewel-like plastic trinkets. The ring’s metal is stylized into the planet marks specific to the Sailor Guardians. The watch will cost ¥11,000 and the ring ¥6,500.